In another outstanding Inuit origin story picture book from Inhabit Media, Igloolik elder Herve Paniaq tells the haunting tale of the mythological mother of the sea mammals, Takannaaluk, also known as Nuliajuk and Kannaaluk. 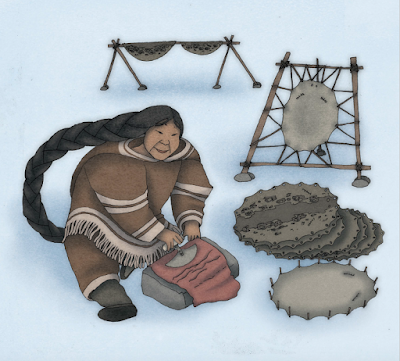 Though her parents wish her to marry so there would be another man around to help out, their only daughter refuses all those who ask her and so she is called Uinigumasuittuq, the one who never wanted to marry. Men appear, though they are animals such as the caribou and the bearded seal transformed into persons, and she refuses them all. When a very tall and handsome man, seated in his qajaq and wearing snow goggles, calls to her, she goes with him. It's not until much later in their journey that she sees he has been sitting on a stool and his legs are very, very short and he has scary red eyes. She realizes she has been tricked as he is a fulmar, a type of seabird, transformed into a man but he refuses to let her go back to her parents. Uinigumasuittuq has no choice but to go with the man and learn how to be his wife. But then her father, who'd been so adamant about marrying his daughter off, decides to bring her back home and away from her horrible husband. When the husband pursues them, Uinigumasuittu's father ridicules his son-in-law who transforms into a fulmar, flying in such a way to cause the winds to pick up. 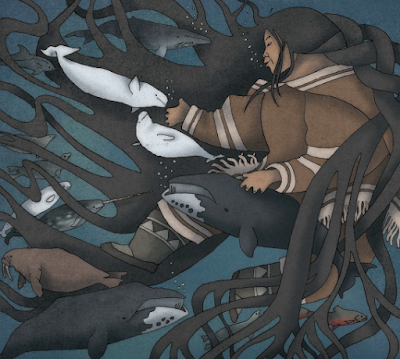 Her angry father throws Uinigumasuittuq into the water and, as she clings to the side of his boat, he chops at her fingers with his knife. Where her fingers fall, seals appear. Her father, guilt-ridden at his actions, kills himself by drowning in the encroaching tides and Uinigumasuittuq, lost to the water, becomes known as Takannaaluk which means "the one down there" and becomes feared and revered as the legendary mother of the sea animals. 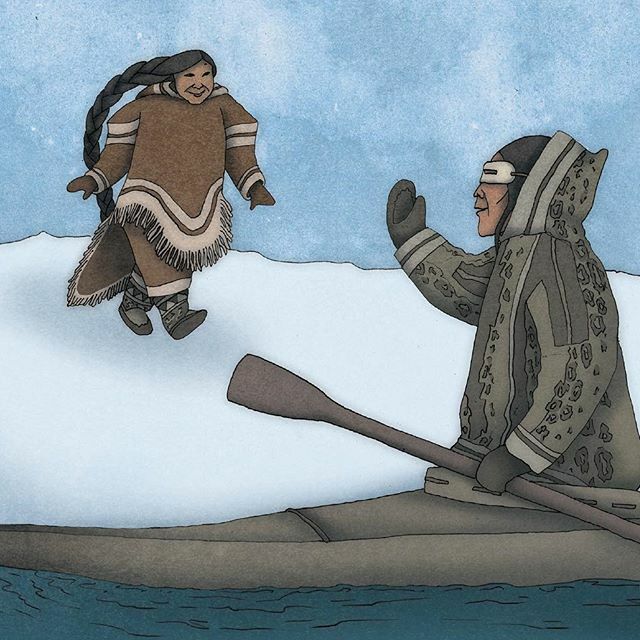 Herve Paniaq's retelling of this Inuit myth has the richness of great storytelling. There are villains and victims, choices and consequences, conflict and resolution. But this origin story becomes extraordinary with the illustrations by Germaine Arnaktauyok. 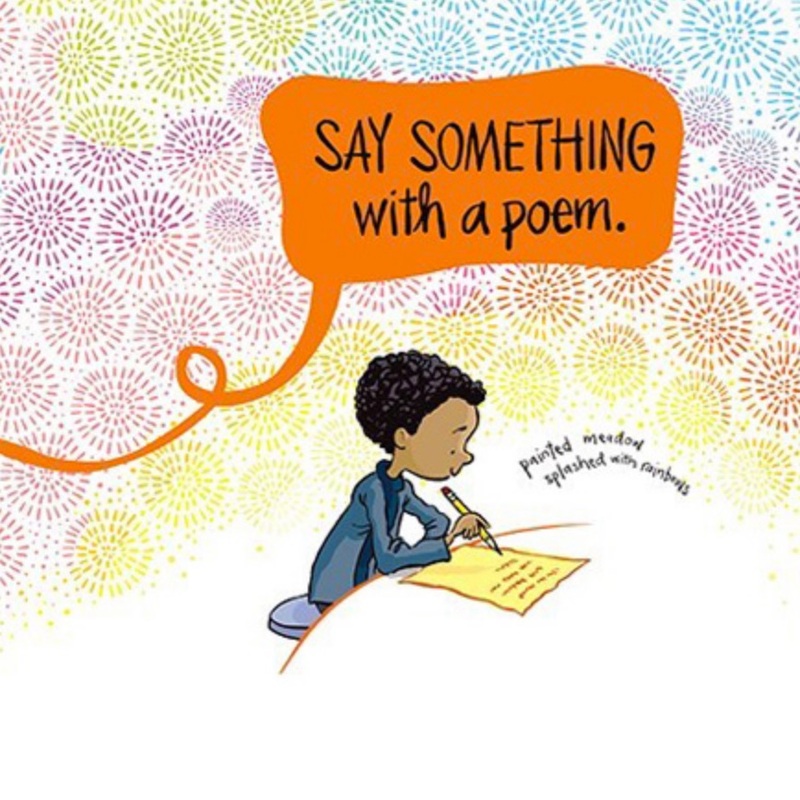 I have always believed picture book illustrations are works of art but Germaine Arnaktauyok's images should be in art galleries. 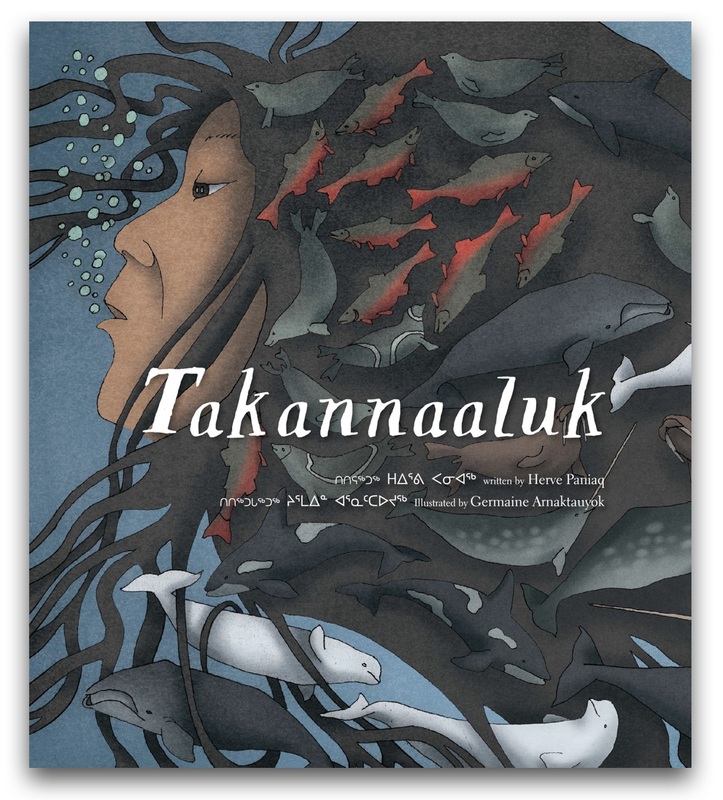 They are gorgeous, rich in colour and shape, culturally relevant and wholly appropriate for a story from the Arctic, making Takannaaluk bewitching as well as edifying. Thirteen years ago, four babies in the Dimly, Manitoba hospital were irradiated (or should that be irreidiated?) with reidium from the dust of its Dimly light bulbs when the electrical system overloaded during a storm. Since that time, the four children have been tracked by Dr. Fassbinder who is currently at the Institut de l'ennui/Boredom Institute. Now that the four are reaching puberty and their almost-epic superpowers are kicking in, everyone wants a piece of the action, whether to study them or abuse their powers. 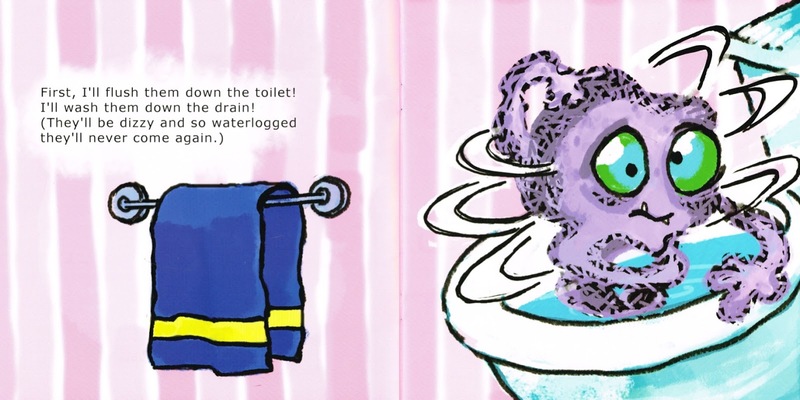 Readers met Jessica Flem, the first of Dimly, Manitoba's almost superheroes in Kevin Sylvester's Mucus Mayhem (Scholastic Canada, 2018) and in What Blows Up, Ted Staunton introduces us to another, Gary Lundborg. Gary is a tall and clumsy kid–his nickname is Clumsborg–who is forgetful and has difficulties concentrating, though he does get "feelings" to which he pays attention. He seems pretty average, even if intuitive. But during testing, Dr. Fassbinder and his mouse research technicians realize that Gary is telekinetic, moving objects by simply imagining doing so. Strangely, his power cycle is between 3 and 6 a.m. only but it can be boosted by eating garlic. When Gary gets the call from Bernard Cheeper of Department C, the boy is whisked away, first to training camp and then to the Balkan country of Pianvia, one of the few sources of reidium along with garlic, in order to help thwart the criminal plan of the elusive Boss. Seems the Boss, aided by teen evil genius Malevia Spleene and her Green Bay Packer bots, along with a work force of moles, has a plan of her own when it comes to the almost epic superheroes of Dimly. 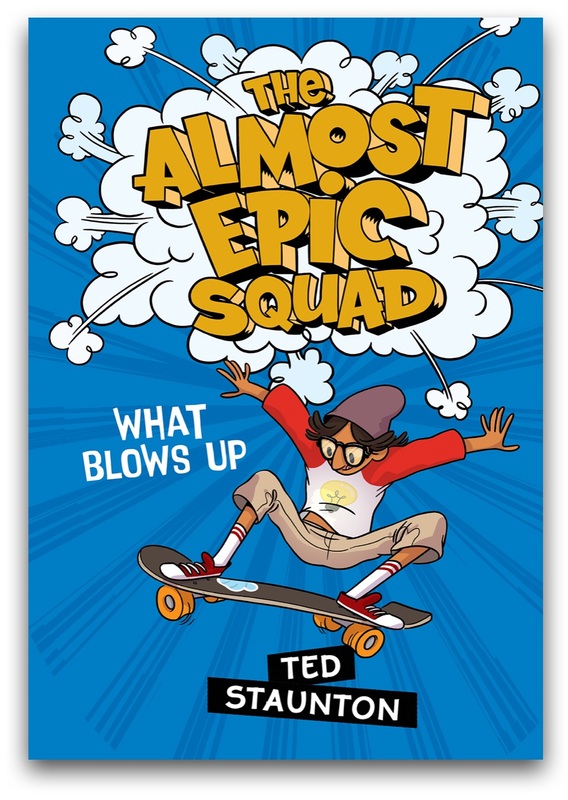 In a plot rife with minions, villains, superheroes (sort of), yaks, and double-crossing and humour, Ted Staunton continues The Almost Epic Squad as the very funny middle-grade series it is. 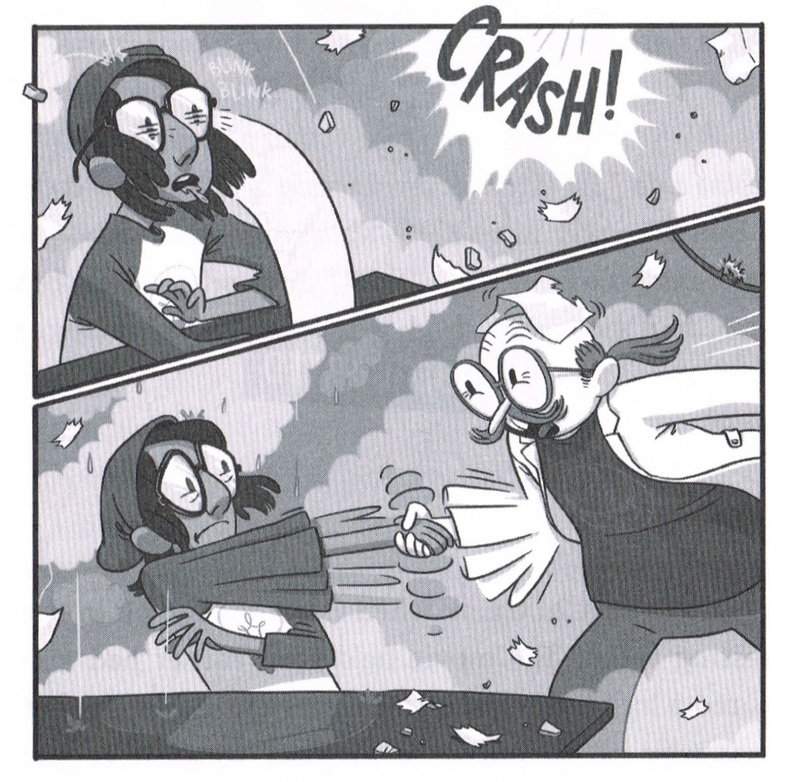 (Kudos to Scholastic Canada for choosing such exceptionally humourous writers for the series.) Though What Blows Up, and you'll have to read the book to find out what that is, touches on Jess Flem's story and hints at the remaining squad members in the next two books, it is a solid stand-alone that will draw chuckles and sympathy for the awkward Gary and boos and jeers against the weirdly-costumed Boss and an assortment of freelance masterminds. The plot is complex with its multi-layers, and hilariously entertaining with its voice and unique story elements like a polo game on yaks, a mouse looking to cut a reality TV deal and an assortment of mishaps by poor Gary. Add some graphic novel-like illustrations from Britt Wilson and Ted Staunton's What Blows Up truly feels like a superhero story, albeit one in which the superhero doesn't always know what he's doing but he tries. With the last two kids of The Almost Epic Squad having their stories told in Lesley Livingston's Super Sketchy and in Richard Scrimger's Irresistible, these unlikely champions look like they're heading to make the world a safer place from villains while entertaining readers with their quirkiness and almost epic efforts. There are loads of extras including videos, etc. 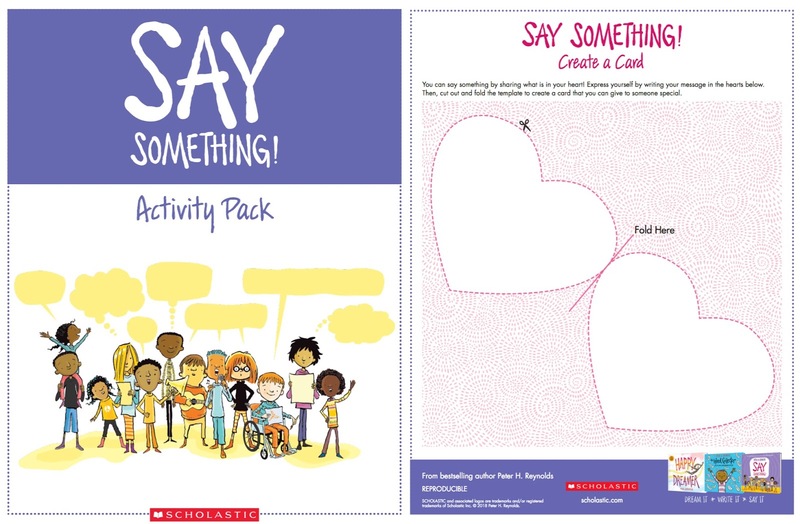 at the Scholastic Canada website http://www.scholastic.ca/books/series/almost-epic/ so do check it out for more fun. Why do we all think the grass is greener on the other side of the fence? Is it because we can see over the fence but don't know what it feels like till we're over there? Or is it that we assume it must be better elsewhere because our sides of the fence seem less than perfect? In Sylvia McNicoll's latest middle-grade/YA Body Swap, the proverb of that greener grass is found to be accurate i.e., the grass is not always greener. Fifteen-year-old Hallie Prince can't seem to get her nose out of her cell phone and, while rushing into the mall to catch her crush Chael Caruso, she is hit by a Hurricane SUV driven by 82-year-old Susan MacMillan. Both die, temporarily, and are transported to a carnival-like world where Eli a.k.a. God gives them five days to accomplish something positive that might give their lives different endings. But Eli, who reappears throughout the story only identified by his tattoo of Carpe diem, switches their souls so that the independent Susan, once plagued with the ailments of the elderly like arthritis, heart problems and digestion complications, is now in the robust, dark-skinned body of a teen who is mobile, eats everything, and is waiting for her first kiss. Meanwhile Hallie is expected to drive, though she doesn't have a license, suffer the tedium of Susan's son Ron and his wife Sheryl who are convinced she needs to go into a seniors' facility, endure physical limitations, wear boring clothes and more. By convincing all that Hallie is Susan's adopted granddaughter arranged through an empathy project at school, the two interact regularly, including via their new cell phones. 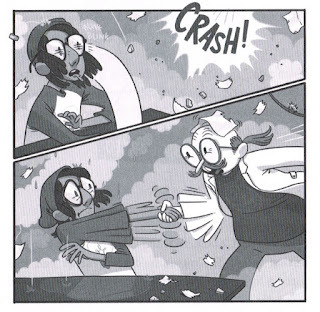 In a comedy of errors, Susan and Hallie learn to adjust to their new bodies and circumstances and take on some sleuthing to investigate mechanical problem with vehicles like Susan's Saji Motors' Hurricane, hopeful of ensuring no lives are lost as theirs (almost?) were. What a ride! From accident to a visit to the other side and back again, Body Swap takes readers to places they will probably never know. Just like Susan and Hallie who get to see the lives of others by swapping bodies, readers get perspectives on youth and the elderly, making good choices for themselves and others, and being open and compassionate to all. 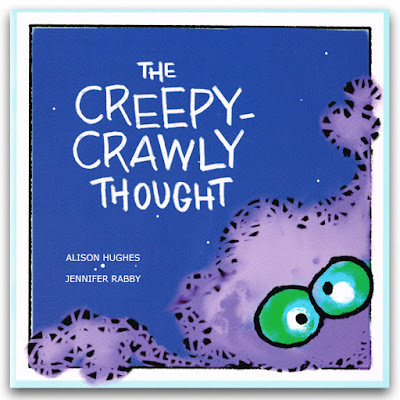 Susan and Hallie may believe at first that Eli has cost them their own lives but their new bodies and perspectives gain them so much in the way of learning. I know when I pick up a Sylvia McNicoll YA novel like her Crush. Candy. Corpse (Lorimer, 2012), Dying to Go Viral (Fitzhenry & Whiteside, 2013), and Best Friends Through Eternity (Tundra, 2015) that I'm going to get real teens. Their stories may have unique elements like returning from death or being charged with manslaughter but never, never are they outrageous or unbelievable. 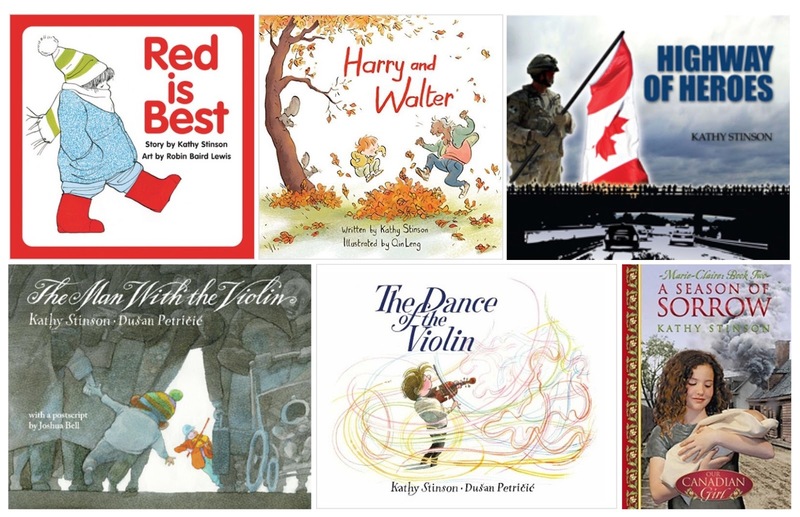 Sylvia McNicoll knows how to weave a story around characters who could be our best friends or neighbours or classmates and never have us rolling our eyes at plot lines or voice. She gets it right every single time. 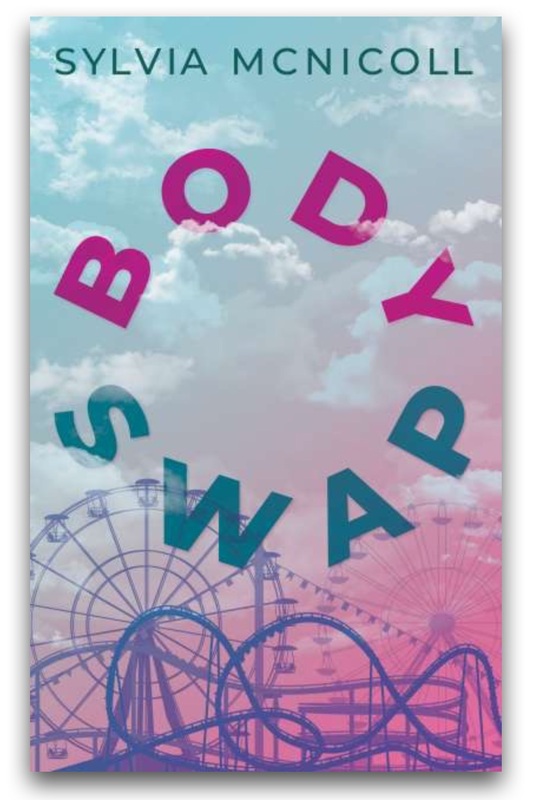 Body Swap continues that tradition, giving true voice to a teen as well as an elderly woman, allowing readers to share in their lives as Susan and Hallie share in each other's. It's a compassionate look at walking in another's shoes and at the gains of having relationships with those different than ourselves. Though of different Indigenous heritage, Dez, who is Inninew, and Miikwan, who is Anishinaabe, are more like sisters than best friends. 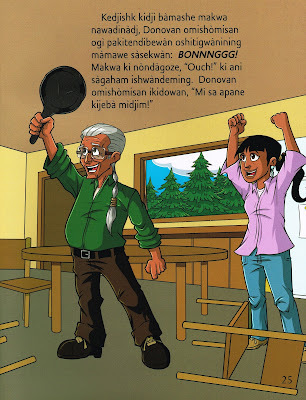 They completed a year-long Berry Fast together and have been important supports as Dez worries about the health of her kokum with whom she lives and Miikwan struggles with the loss of her missing mother. 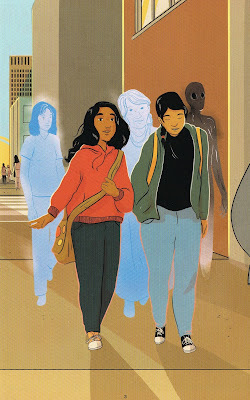 Walking everywhere in the city, the two girls are seen among blue spirits of Indigenous women watching over them while scary black shadows partner with some men to encroach on their spaces and safety. When Dez sees her grandmother with the social worker at their house, she is fearful of being sent to a group home. So Dez walks away, her phone battery draining, and ends up sleeping on a park bench, watched over by the spirits of murdered Indigenous women but vulnerable to the predators of white men shadowed by monsters. When Miikwan does not hear from Dez for several days, she is scared that her best friend may be lost as her own mother was. 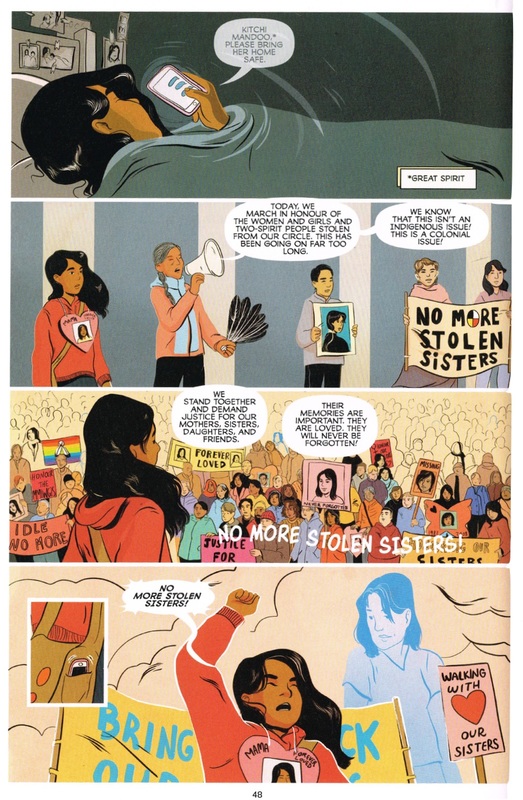 After talking to the elder of the school's culture room, Miikwan agrees to participate in a march to recognize missing women, girls and two-spirit persons. Fortunately, while Miikwan helps support her community in a march that attends to those who have been lost, Dez is helped by another Indigenous woman to the Ka Ni Kanichihk Indigenous centre and the two are ultimately reunited. With extensive notes, including statistics and references, about murdered and missing Indigenous women, girls and two-spirit people, Tasha Spillett takes Dez and Miikwan's story from very personal to big picture. But don't be deceived that this story is anything less than personal. It may reassure that the spirits of those missing and murdered are always there to guide and protect, and that there are those on this earth who want to help but the ubiquity of glowing blue spirits and shadowy monsters suggests that the stories of those missing and murdered and the families left behind are still too common. Sitting on a park bench should not be an invitation for assault. Being followed and in fear for your safety because of your heritage should not have become the norm for girls like Miikwan and Dez. But sadly Tasha Spillett reveals the very real worries of Indigenous women, girls and two-spirit persons go beyond the everyday concerns and expand into those about personal safety and loss of home and family. Author Tasha Spillett is of Nehiyaw and Trinidadian ancestry and dubs herself as a PhD student by day and a poet by night. 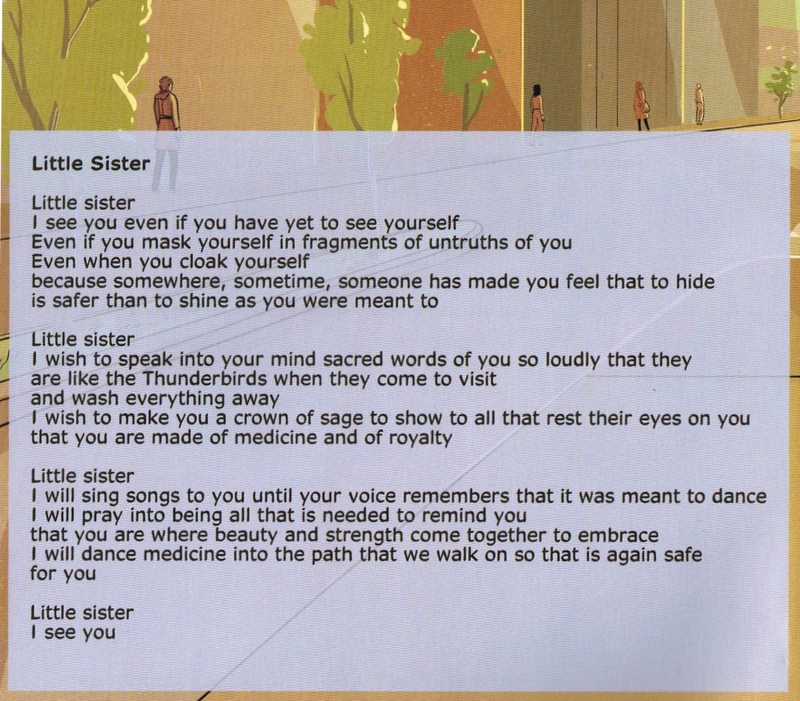 Relevantly she begins Surviving the City with a poem titled "Little Sister" which, with poignant words, notes the starkness and vulnerability of being a young Indigenous woman but offers support, hope, and recognition. 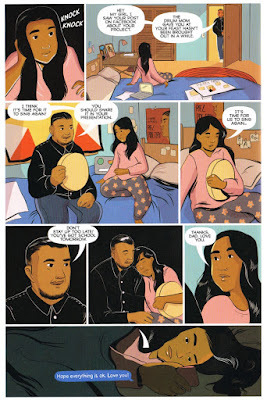 Métis artist Natasha Donovan likewise focuses on the teen realities of Dez and Miikwan, from school to home and in between but overlays it with the supernatural blanket of spirits. The starkness of the city is conspicuous, with colour and brightness only evident when the teens honour their cultures and people and each other. 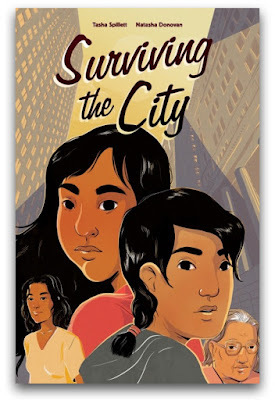 Surviving the City is not a happy-ending story of everything working out. It's a story about reality for far too many Indigenous women, girls and two-spirit persons who are negatively targeted rather than honoured for being just as they are. 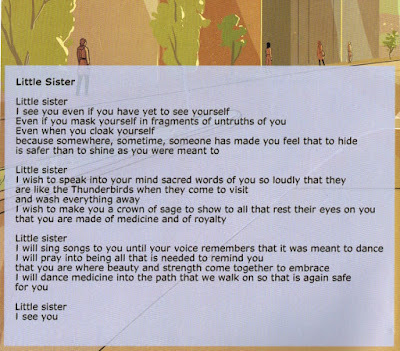 But, with Tasha Spillett and Natasha Donovan telling the story of Dez and Miikwan, reality is brought to the light and little sisters are seen. It's a dark, dark place in the caves and tunnels of New Mexico's Carlsbad Caverns and Eric, Silvia and the other students of Mr. Baker's small advanced middle-school class are going to find out just how dark it can be when a field trip goes from scholarly to scary. 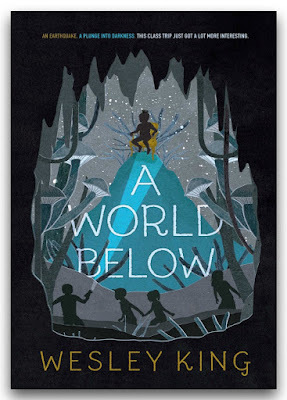 When an earthquake hits, sending rocks falling and splitting the ground beneath, teacher Mr. Baker disappears into one crack and the kids are dragged deep into the earth by currents of cold water. When thirteen-year-old Eric Johnson drags himself out of the water, he finds himself alone and determined to find his way out. The other students have travelled further down, unable to extricate themselves until they reach still waters. After reviving one student with CPR, Silvia Rodrigues who is desperately trying to keep her anxiety in check is unofficially designated their leader and suggests they find Eric. But, in addition to chapters focusing on Eric and Silvia's perspectives, there are those told of a boy of similar age, Carlos, the King of the Midnight Realm, who is determined to keep his underground community safe from the exiled traitors called Worms and the dangerous "surface humans." 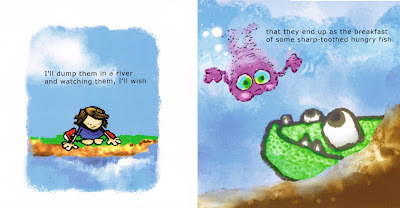 In an adventure-survival story that feels a bit like a melding of Indiana Jones with The Lord of the Flies without the creepy parts, Wesley King, award-winning author of The Vindico (Penguin, 2012) and OCDaniel (Paula Wiseman/Simon & Schuster, 2016) celebrates kids who may see themselves as different and even weak because of their mental health issues or personalities but who are strong and bright and resilient and the stuff of heroes. Silvia tries to hide the vulnerability she feels with her anxiety and panic attacks that keep her from sleeping well but her peers see her as brave and a true leader. Eric and Carlos are living with the reminders of their fathers' strengths or failings and judging themselves by those memories. Eric's father, before leaving to make a new family, was a jerk to Eric's mom and called Eric weird because he was a loner who liked to read. Carlos is trying to lead his people as his father before him did but sees his compassion and insight as contrary and consequently dangerous to those he is destined to rule. 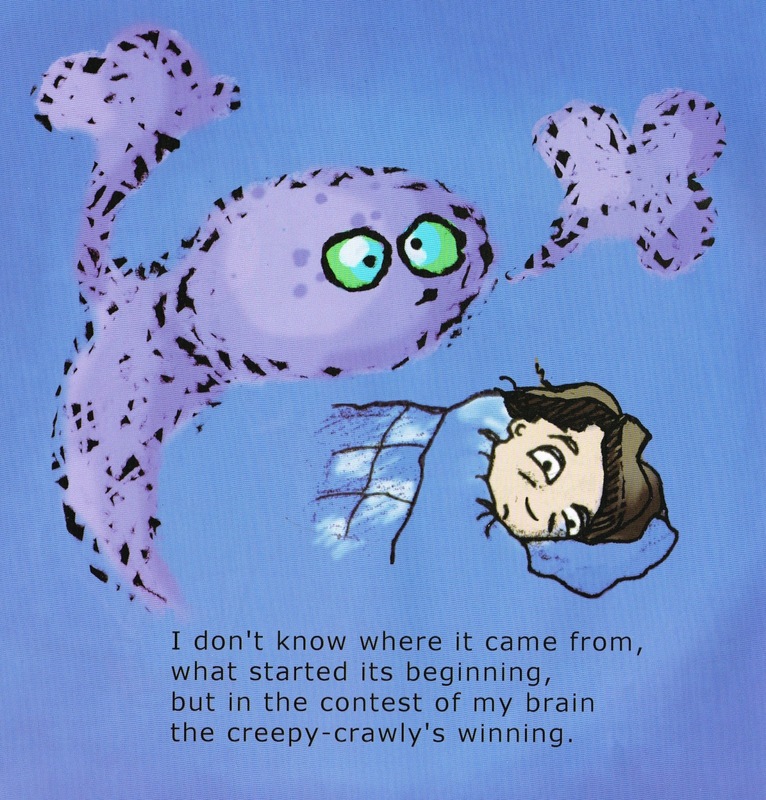 In an extraordinary world of tree-like mushrooms, rats the size of beagles, spiders and catfish-like creatures as large as cars, and oppressive darkness only relieved by occasional bioluminescence and intermittent flashlight or cell phone light, these young people struggle through their fears, shared and not, to survive and even learn about others and themselves. "But keeping my distance ... it's just ... easy." 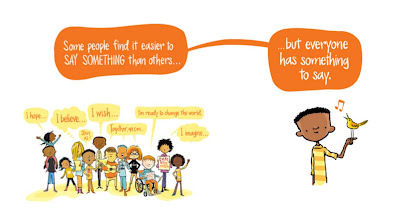 Like Jean Craighead George's book My Side of the Mountain, to which both Eric and Wesley King both reference, A World Below allows young people to see what separation from our peers and families can deliver. It gives us a chance to see ourselves as we are, not as others might see us or as we think we are seen. There's a clarity of perception that comes with focusing on what really matters–here, survival–and finding new realities, both within and externally. 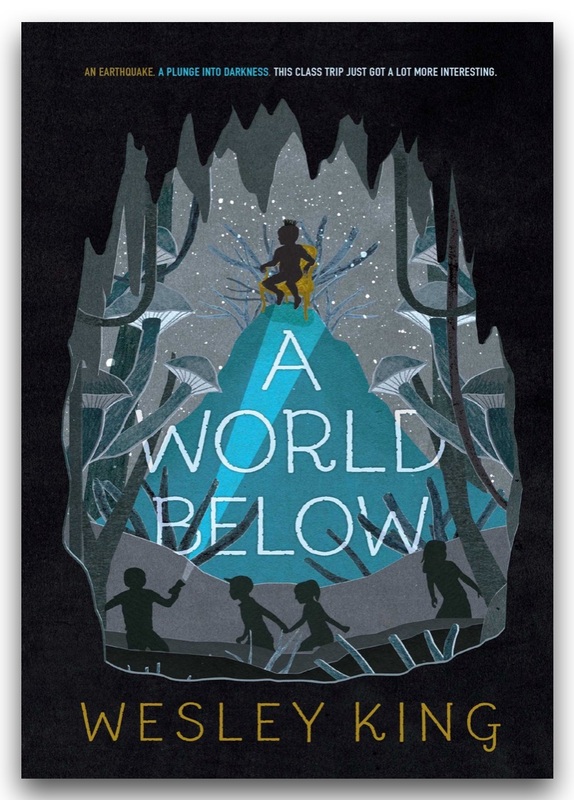 A World Below may be a coming-of-age story, based solely on the youth of the characters and their efforts to understand themselves and the world around them, but it goes beyond that, guiding readers through the darkness of twisted thinking and fears and into the light of understanding and empathy for self and others. 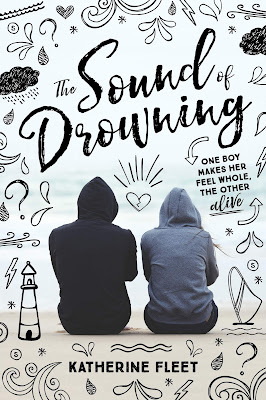 Retrieved from Goodreads at https://www.goodreads.com/book/show/40046016-the-sound-of-drowning on February 17, 2019. Are you in Grades 4-8 or in high school? Do you want to help choose books that other kids will want to read? has a committee for you! 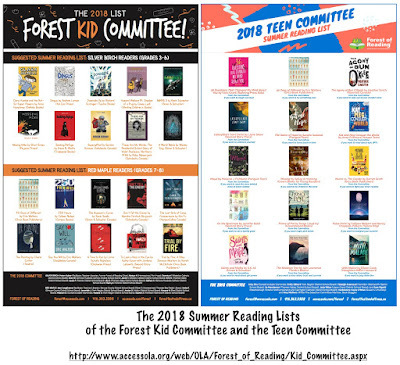 Last year's Forest of Reading Kid and Teen Committees brought readers in Grades 4 through 12 together to talk books and produce exceptional summer reading lists for those readers of the Silver Birch, Red Maple and White Pine reading programs. 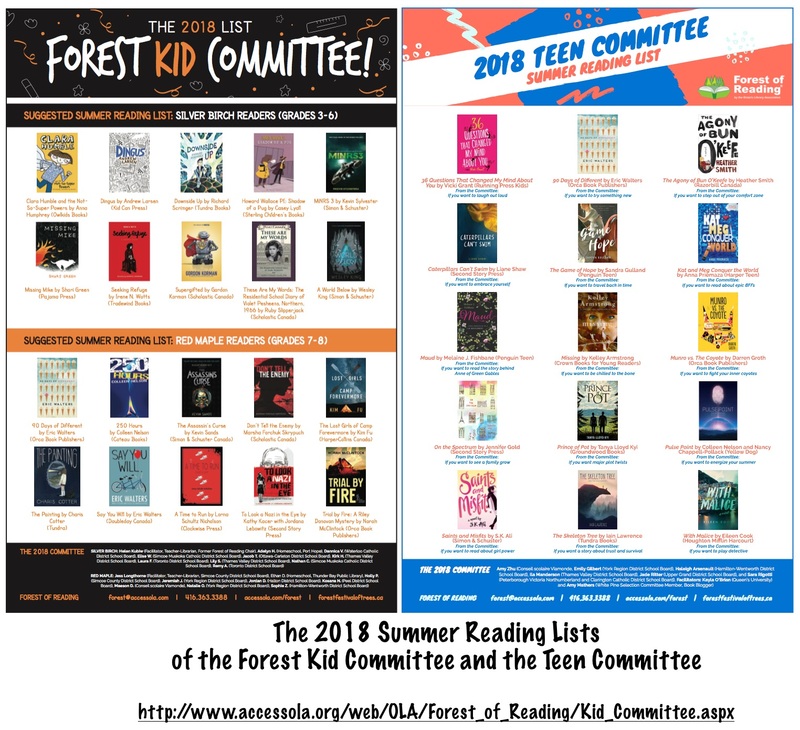 This year the Ontario Library Association's Forest of Reading program is again asking students to apply to be on the 2019 Forest Kid Committee and Forest Teen Committee. 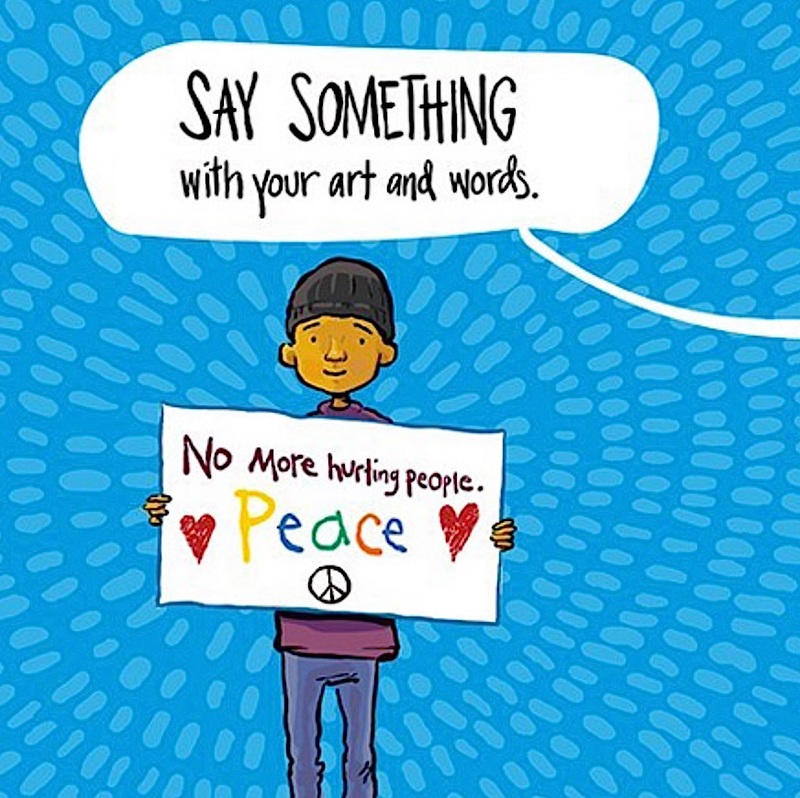 Come together at the Ontario Library Association's offices in Toronto with other readers to select 10-20 titles for a summer reading list. 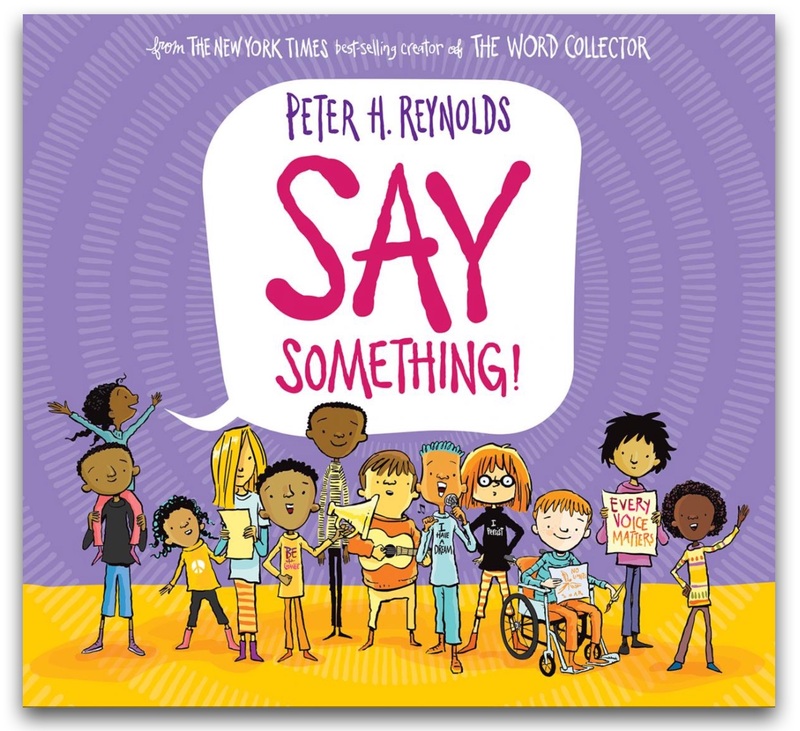 (Check out last year's Kid Committee and Teen Committee reading lists.) 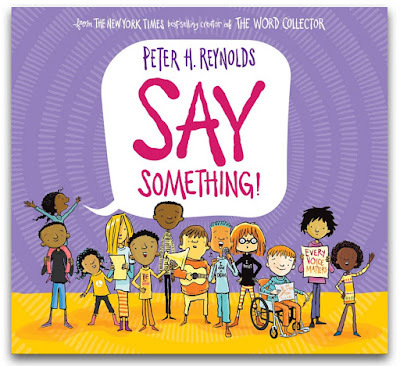 It's a full day of talking books, special treats and making new friends. And it's all about the books! to share your ♡ of Canadian books! The Forest Kid Committee and Teen Committee were a huge success. 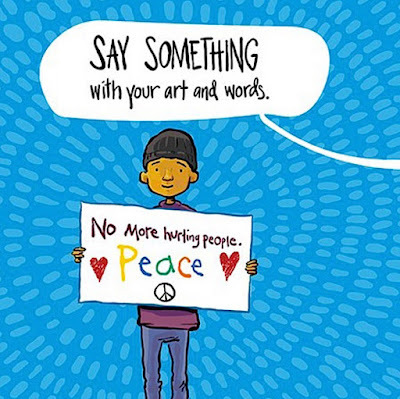 and help your peers find great books to read. Who says dogs can’t fly? Kathy Stinson’s charming story of perseverance is beautifully brought to life by Brandon James Scott’s exuberant and wonderfully expressive illustrations. 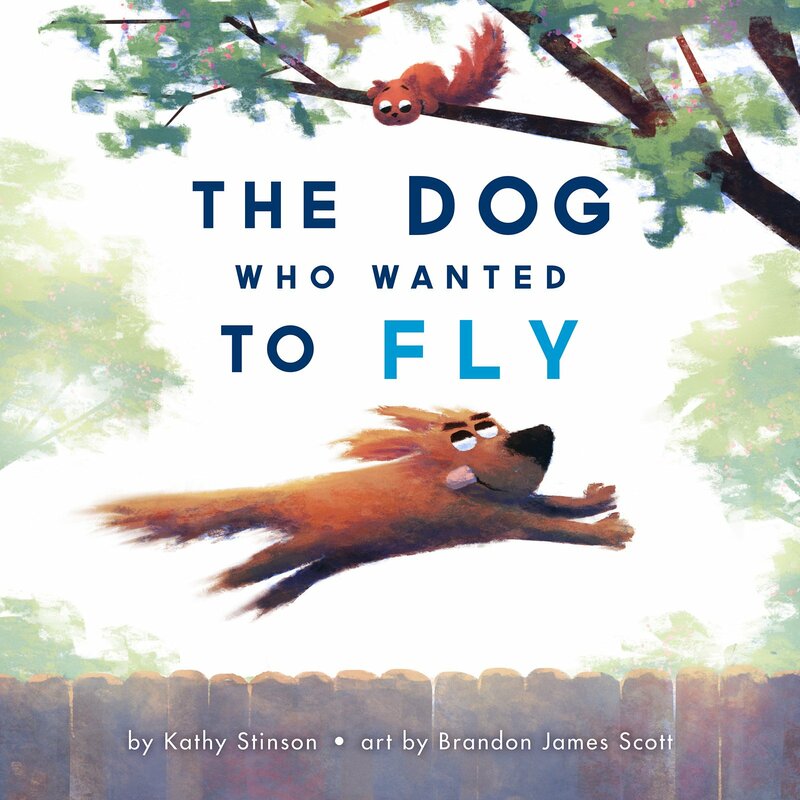 Touching on themes of optimism and determination in the face of failure, The Dog Who Wanted to Fly is a book anyone—even a cat—will love. With the release of this new board book edition of Jon Klassen's award-winning I Want My Hat Back, I am pleased that I can review this gem and introduce new readers to this delightful story. 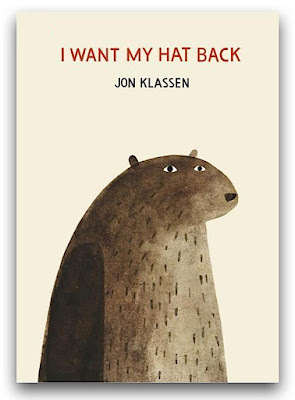 Originally published in 2011, a year before I started this blog, I missed out on reviewing Jon Klassen's first picture book, though I remember well sharing it with little ones. 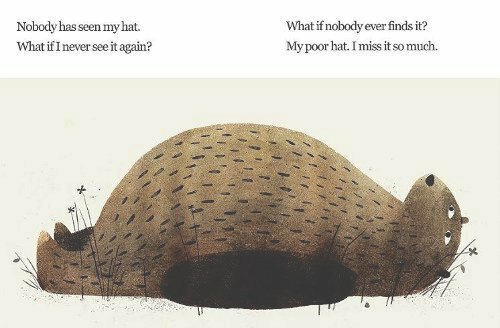 A bear has lost his hat and seeks it by asking a fox, a frog, a rabbit, a turtle, a snake, and an armadillo, "Have you seen my hat?" Their answers are varied, some confused, some preoccupied, and some defensive but all are negative. 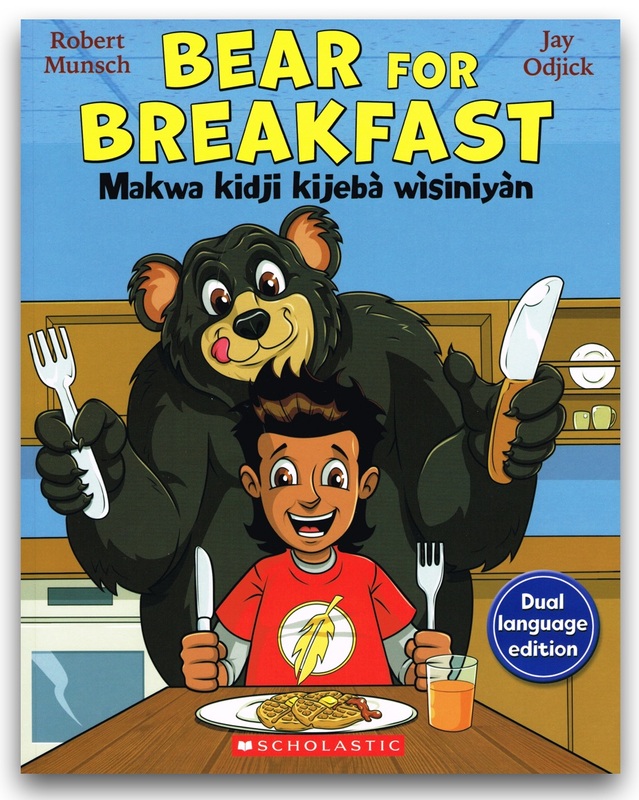 Ever polite, even helping a turtle to climb a rock, the bear often replies with a "Thank you anyway." It's not until a deer asks the bear what the hat looks like that he realizes he did see his hat. 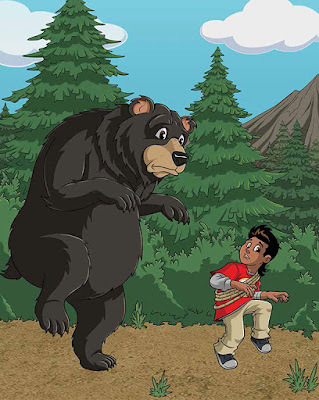 Mystery solved but what will bear do to get his hat back? Those who've read this book will all remember the twist that I Want My Hat Back takes and those who have not are in for a surprise but one that requires little ones to read the clues. 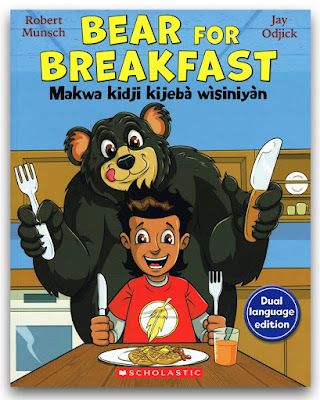 From a series of repetitive enquiries to the revelation of the theft and finally the bear's response, both evident and not, I Want My Hat Back propels the reader from beginning to end, with subtle but dark humour that suggests consequences for actions. 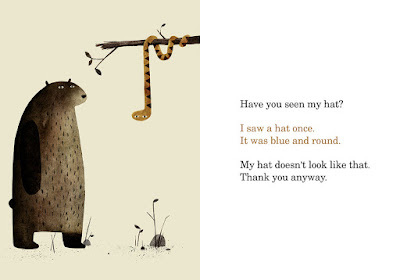 In I Want My Hat Back, as well as in its sequels This is Not My Hat (Candlewick, 2012) and We Found a Hat (Candlewick, 2016), Jon Klassen beguiles with his simple but characteristic illustrations of animals and their landscapes. But the simplicity is hardly unsophisticated. It may be more reminiscent of folk art with its clarity of line and austere backgrounds but the art is punchy, just like the story. Bear may get his hat back but it's not a happy ending for the rabbit. Be prepared. Life is like that. 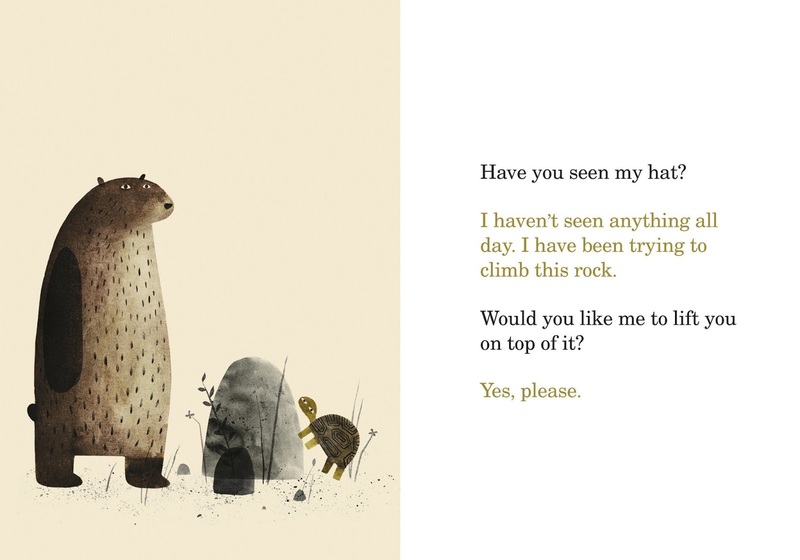 And isn't grand that there are those like Jon Klassen who recognize that children's books don't need to be sugar and unicorns to be exceptional and appreciated? 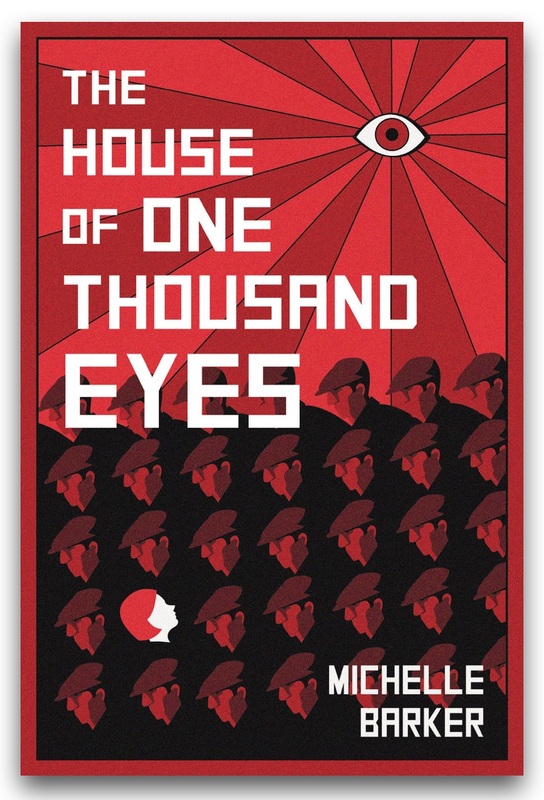 The House of One Thousand Eyes is a dark book but 1980s East Berlin was a dark time and place. It was a time of the Berlin Wall and the Stasi (the State Security Service) and repression of thought, opportunity and interaction. It was a time of oppression and control and secret-keeping. It was dark and even more so for seventeen-year-old Lena Altmann. When she lost her parents in a factory explosion, Lena was sent to an asylum. After three years of treatment, she was released into the care of her aunt, a Party member, who treats Lena as a simpleton in need of direction to prevent her readmission to the hospital. ... but Auntie was a good citizen, and goodness was rewarded. Unfortunately, her Uncle Erich, whom she adores and visits weekly, is a writer and a man of opinions and insight. When she witnesses the removal of his things from his flat and finds a new tenant in place who tells her he has lived there for five years, Lena wonders whether she is delusional. She is told by all that she has no uncle. She cannot locate any of his books at the bookstores or library (her own have disappeared as have her photos of him) and is told there is no birth record of such person. Working as a night cleaner at Stasi headquarters, also know as the House of One Thousand Eyes, Lena tries to determine what happened to her uncle and cut through the deceit and illusion that all is right in the "Better Berlin." But will the wall she has built up in her own mind continue to protect her from harmful thoughts and brutality such as that she suffers nightly at the hands of one Stasi officer? Or is it like the real Berlin Wall, still in place in 1983, doing more harm than good or in danger of crumbling? The House of One Thousand Eyes is a brilliant novel of historical fiction. The setting may only have been thirty-six years ago, still in my lifetime, but it's of a time and place so inaccessible, concealed in the propaganda disseminated by those in power and perpetuated by those choosing to survive at all costs, that it will seem far more distant. It is a hard and dark time for East Berliners who had to choose whether to deceive themselves about the inequities perpetrated by a corrupt regime or to suffer the consequences, as does Lena's uncle, for free thought and disapproval. Just as Uncle Erich knows about veiling one story in another, Michelle Barker's subtext about mental health, social inequalities and the freedom of expression is never lost in the story of Lena as she searches for her uncle and tries to make sense of a world that often made no sense at all. But Michelle Barker builds up Lena's worlds, real and "schrullig," into a monument that honours lives lived with courage and conviction, never blocking the light of truth, and she does so with strength of words and greatness of style. With Valentine's Day on the horizon, many will be thinking of romantic love. But I can't think of a better time (other than International Day of the Cat on August 8th) to promote Miss Mink: Life Lessons for a Cat Countess as Miss Mink's sixty-seven lovely felines share their wisdom about living well and loving self. It's love with a difference. As with Janet Hill's first book, Miss Moon: Wise Words from a Dog Governess (Tundra, 2016), there is a detailed introduction to Miss Mink and her circumstances. Readers will learn of Miss Marcella Mink's living with her cats and starting her own feline-friendly cruise company but, overwhelmed with her business's success, Miss Mink becomes unhappy. 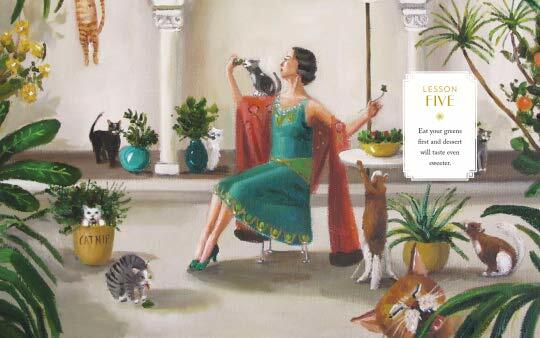 Only by heeding the advice of her cats does she learn how to live "a purrfect life." 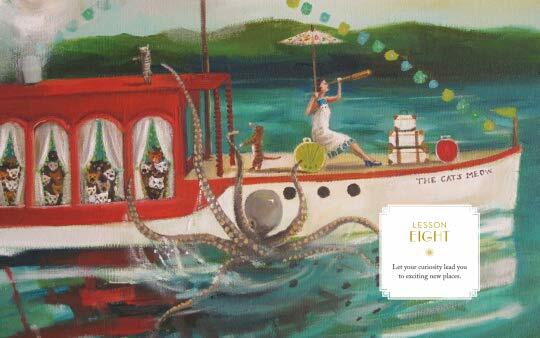 In a series of twenty double-spreads, Miss Mink recounts the lessons gleaned from her ever-wise cats. 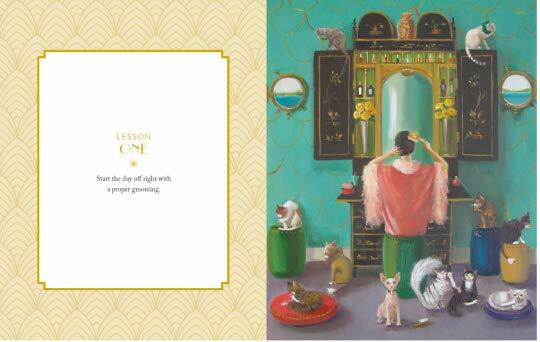 From "Start the day off right with a proper grooming" to "Find happiness in the little things" and "Don't be afraid to voice your opinion (loudly)," Miss Mink recognizes the actions and thoughts that her cats practise daily. 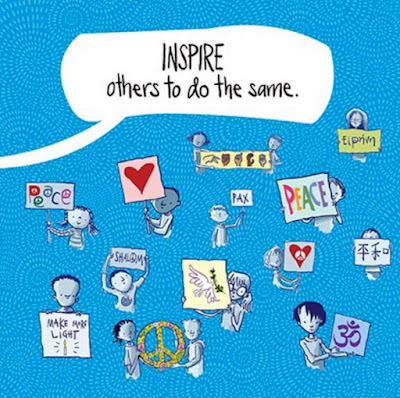 There are lessons in gratitude, enterprise, positivity, friendship and mindfulness. It's about being in the moment and taking in what's good around you, not worrying or negating experiences as insignificant or worthless. There's a reason that cats may have been worshipped or at the very least held in the very highest of esteem. Their poise and shrewdness, along with savvy behaviours, provide guidance to living well and in the moment. Janet Hill recognizes that they impart wisdom wrapped up in love, knowing that they will always know better than their human counterparts. But the life lessons go beyond the words. With a clowder of cats from which to choose, Janet Hill expands the learning from words of wisdom to exemplars for living well. 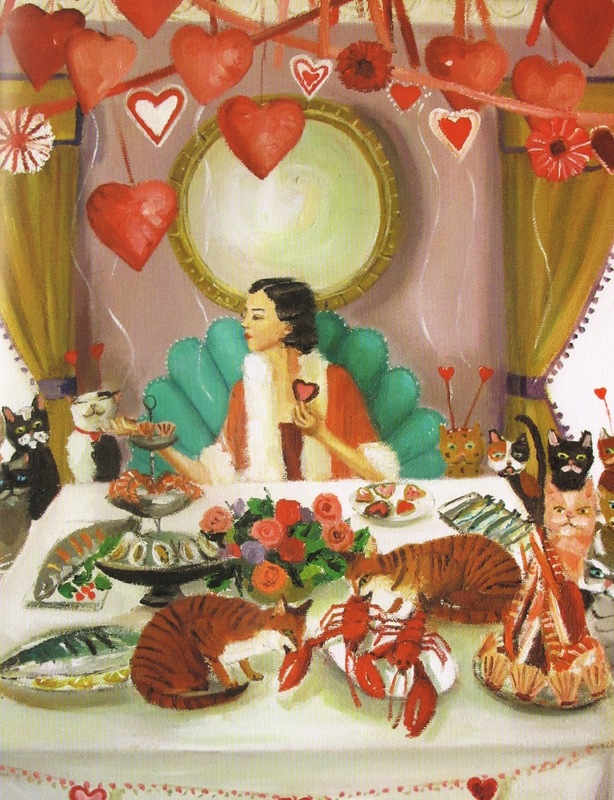 Though her paintings have a romantic feel to them, embedded in the glamour of the 1920s, Janet Hill gives them more whimsy and affection, the emphasis on the tenderness and care rather than the amorous. 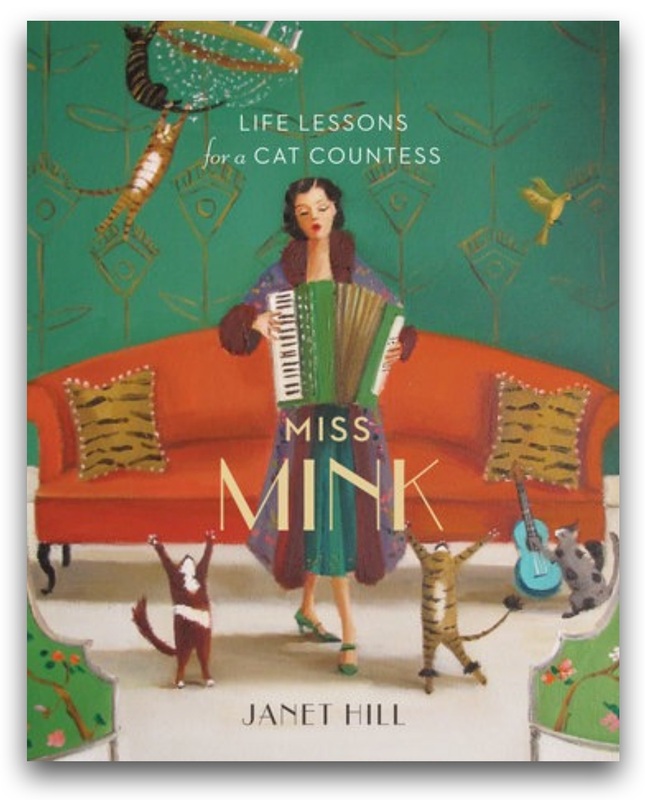 With mental health issues on the rise, Janet Hill and Miss Mink and her felines share some wonderful coaching on self-care and appreciation to which we should all attend. For the animal lover, especially of cats, who might appreciate an absorbing and heartfelt book about taking care of oneself to make the most of life, courtesy of life lessons from those who live lives to their fullest, Miss Mink: Life Lessons for a Cat Countess is the book to pick up this weekend. It's a Valentine for self that can be shared with others.